McCutcheon Daniels' life is full of bone-cracking violence. As a star fighter in the gritty underground Mixed Martial Arts circuit in the poorest section of Detroit, McCutcheon fights under the tutelage of his volatile and violent father, not so much for himself but to survive as protector of his beloved five-year old sister, Gemma. We get to know McCutcheon as he battles opponents who are literally trying to kill him and he struggles to find a way to protect her and himself. Along the way, he decides to trust a teacher who has taken an interest in him and discovers the truth about his mother who seemingly disappeared on his thirteenth birthday. 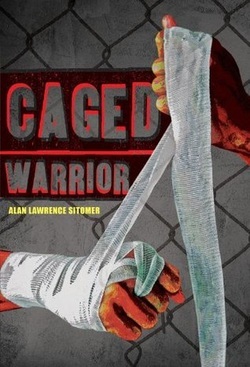 A ferocious novel, Caged Warrior is like a great fight movie, a tour-de-force of relentless conflict, but one that is leavened with rich characters and meaningful and loving relationships.